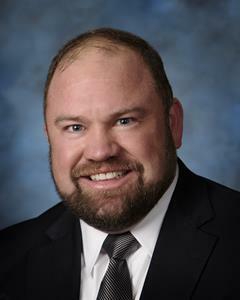 Industry Veteran Scott Vanderpool Joins MGP | MGP Ingredients, Inc.
ATCHISON, Kan., Jan. 17, 2019 (GLOBE NEWSWIRE) -- Scott Vanderpool has been named Texas regional sales director for MGP. His new role supports MGP’s brand portfolio expansion into the Texas market, as announced this week. Vanderpool most recently served as market activation manager for Pernod-Ricard USA in Dallas, where he managed development, localization and execution of divisional brand and business plans to maximize growth, profitability and brand equity for the Texas division. His work encompassed numerous brands and included the launch of five line extensions. Prior to joining Pernod-Ricard in 2014 as a division brand manager covering 17 states, Vanderpool spent more than a decade with Brown-Forman Corp., beginning as a Jack Daniel’s marketing manager in 2003. After assuming field sales manager and divisional marketing manager roles, he ultimately was named Washington and Alaska state manager, overseeing the markets for the company’s entire brand portfolio from 2011-2014. Notably, he led the conversion of business in Washington as beverage alcohol markets transitioned from state control to an open, privatized industry. Vanderpool’s career includes marketing and advertising positions at agencies in Denver, Colo. and Louisville, Ky. that served brewers and distillers. He is a graduate of the University of Central Oklahoma in Edmond with a bachelor’s degree in journalism and advertising. For more on MGP Beverage Brands, please visit here. For nearly 200 years, Lawrenceburg’s master distillers have been perfecting the original handcrafted rye blends in one of America’s last Prohibition-era distilleries. Exclusively from the masters of rye at MGP Ingredients, Rossville Union is a return to the golden age of rye with an authentic taste perfected in “Whiskey City.” Rossville Union Master Crafted Straight Rye Whiskey offers a balance of sweet oak with rye spice aged a minimum of four years (SRP: $39.99/750-ml bottle). Boldly bottled at 112.6 proof for indulgent sipping, Rossville Union Barrel Proof Straight Rye Whiskey (SRP: $69.99/750-ml bottle) is blended from the finest barrel reserves to deliver a full, but balanced cask-strength rye whiskey with a spicy, caramel-forward taste and a smoky finish. Connect with us: RossvilleUnion.com, Facebook, Twitter and Instagram (@RossvilleUnion). Rossville Distillery, Lawrenceburg, IN, 47% ALC/VOL. & 56.3% ALC/VOL. Sip Masterfully, But Responsibly.